WASHINGTON, D.C. — In the evening hours of April 21, 2019, New England-based grocery store chain Stop & Shop and representatives from Locals 328, 371, 1445, 1459, and 919 of the United Food and Commercial Workers (UFCW) reached a tentative agreement (TA), effectively stopping an 11-day strike. The five UFCW Locals, representing more than 31,000 employees, went on strike April 11 following the expiration of a three-year contract on Feb. 23. Federal mediators Paul Chabot and Martin Callaghan from the Federal Mediation and Conciliation Service (FMCS) were requested by management and the unions to join the negotiations on April 3 following an impasse between the two parties. The work stoppage was highly publicized in local and national media and gained a wide array of attention, including participation by celebrities and political figures. With assistance by fellow FMCS Commissioners Barbara Owens and Dan Ross, Chabot and Callaghan were able to assist the parties in coming to the table and reaching a mutually-acceptable agreement. The agreement reached by the parties concerned provisions on a variety of issues including health care and retirement benefits, wage increases, and overtime pay on Sunday for current members. “Part of our job as mediators is to be able to sort through and assist the parties to align their wants and needs and help better streamline the discussions. We were happy to be able to do just that and we commend the parties in their willingness to be open to each other’s points of view and work tirelessly for an agreement,” said Donatello. WASHINGTON, D.C. — The U.S. Equal Employment Opportunity Commission (EEOC) and the Federal Mediation and Conciliation Service (FMCS) have officially committed to work together to resolve federal workplace disputes by utilizing Alternative Dispute Resolution (ADR) as a means of efficiently reducing the backlog of federal sector charges, the EEOC and FMCS announced today. 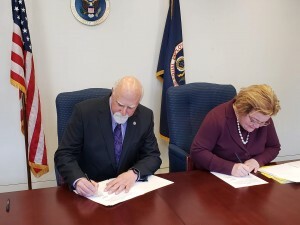 In a ceremony at the EEOC, the EEOC Acting Chair Victoria A. Lipnic and FMCS Director Nominee Richard Giacolone signed a national memorandum of agreement, creating a voluntary working relationship between the two agencies. Under its terms, FMCS will work with the EEOC to identify parties involved in federal sector complaints and provide the opportunity to resolve pending conflicts prior to a decision by an Administrative Judge (AJ). WASHINGTON, DC (April 11, 2019) Federal Mediation and Conciliation Service (FMCS) Director Nominee Richard Giacolone (left) and Equal Employment Opportunity Commission (EEOC) Acting Chair Victoria A. Lipnic shake hands following their signing of a Memorandum of Agreement pledging the agencies to work together to resolve federal workplace disputes. (FMCS Photo/Greg Raelson)ng workplace. 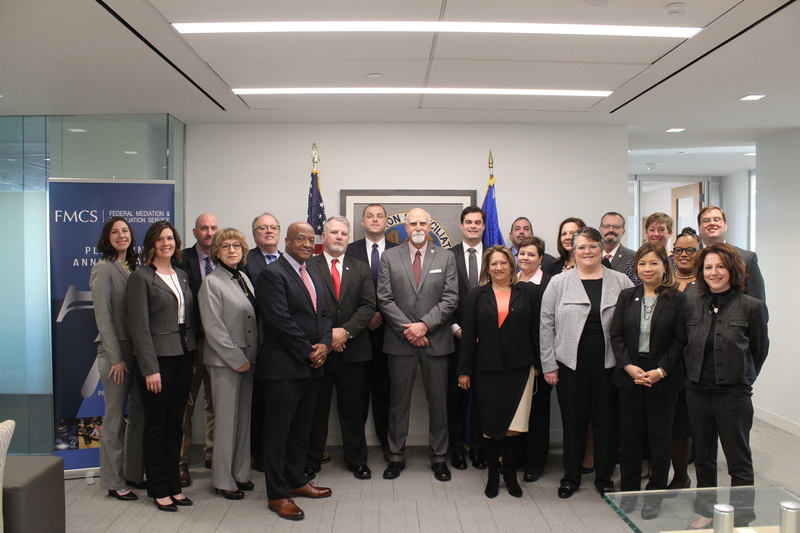 WASHINGTON, D.C. — The Federal Mediation and Conciliation Service (FMCS) commissioned 18 new mediators March 19, 2019 in its Washington, DC headquarters as part of an annual ceremony and training program designed to prepare new mediators for their role as dispute resolution and conflict management experts, providing services to labor and management during contract negotiations, workplace disputes and other workplace issues. 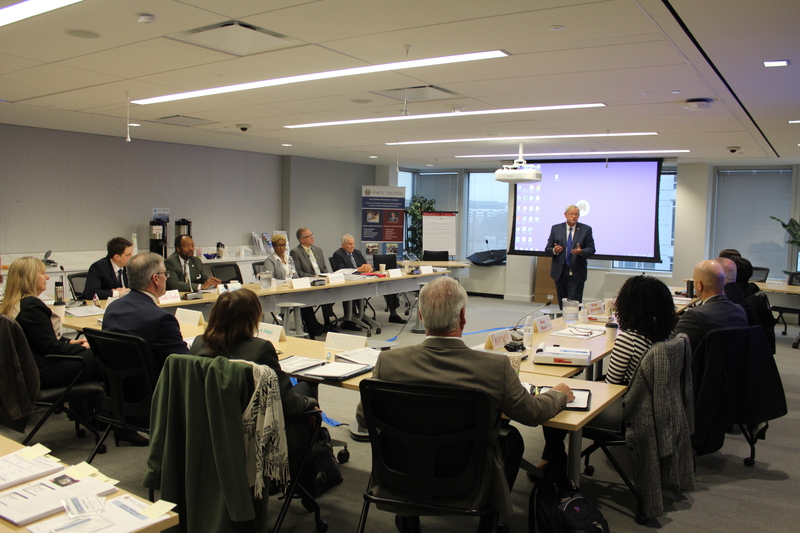 The mediators arrived from across the country for the five-day program led by senior FMCS staff. A comprehensive and holistic training program, the new mediators will be introduced to a variety of professional topics including transitioning to a neutral, administrative procedures, mediator code of conduct and ethics, FMCS history, the National Labor Relations Act and alternative dispute resolution. FMCS Deputy Director Richard Giacolone, himself having more than 23 years as an FMCS mediator, welcomed the new mediators and spoke about their joining the agency at a critical time of change. 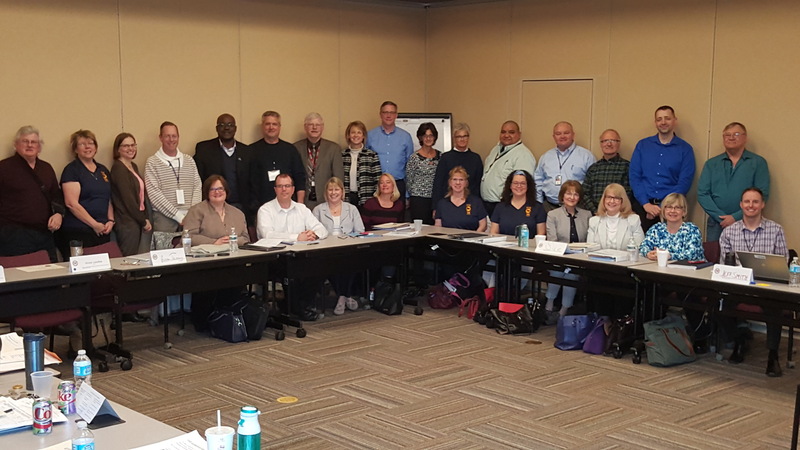 The mediator class of 2019, as all other mediator classes, is assigned a peer mentor whose role is to act as an administrative resource, a helpful sounding board, and to assist in facilitating their transition to commissioned federal mediators at FMCS. Mediators from FMCS provide services to the federal, public and private sectors in building labor-management partnerships, managing conflict, and averting or mitigating the damaging effects of workplace disputes. During the week-long training FMCS helps the new mediators develop their expertise in building better relationships through joint problem-solving and by advocating constructive responses to inevitable conflict. Ensuring a well-prepared staff early on is important for FMCS and for the overall mission. The ability to help organizations reduce conflict means they will become more efficient, creating more value for customers, shareholders and employees alike, and substantially benefit the national economy. Many of the new mediators are already experienced labor-relations professionals. New mediator Kevin Wagner, assigned to the Washington, DC field office, has a background on both sides of the negotiating table and as a neutral, previously working for the National Air Traffic Controllers Association union, working for a neutral labor arbitrator, and working as director of labor relations for Bloomberg BNA before coming to FMCS. He also is a third generation FMCS mediator. “My father and grandfather were both federal mediators, so I’ve been around the agency my whole life,” he said. At the end of the training, the new mediators will return to their respective field locations to continue working alongside more seasoned FMCS mediators until they begin working their own cases. “On the request of the mediator, the parties have agreed to abide to a 35-day cooling off period beginning Feb. 19, 2019. During this period, neither party may conduct any sanctioned labor action, to include strikes or lockouts. However, the parties will continue to be actively engaged in negotiations to exchange proposals under the guidance of FMCS. WASHINGTON, D.C. — On Jan. 7, 2019, National Grid and United Steelworkers Locals 12003 and 12012-04 ratified a tentative 5 1/2 -year agreement that was reached Jan. 2. The new agreement covers approximately 1,250 gas workers across eastern Massachusetts and ends a six-month work stoppage that had been widely covered in the media. The company and unions have negotiated a transition schedule beginning with onboarding sessions this week that will lead to a full return to work later this month. Federal Mediation and Conciliation Service (FMCS) Commissioner Martin Callaghan of the Boston field office was assigned to the case in April and began mediating negotiations in June before the work stoppage. Assisted by fellow FMCS Commissioners Barbara Owens and Todd Austin, they were able to assist the parties in coming to the table and reaching a mutually-acceptable agreement. The parties are commended for their hard work and openness to mediation, working through 36 collective bargaining mediation sessions, and for their tenacity in meeting continuously throughout the holidays to find a resolution both sides would find satisfactory. Both parties recognized the improvements made to the contract in the areas of wages, pensions, healthcare and the creation of new positions, among other items. WASHINGTON, D.C. — On Jan. 7, 2019, representatives from the Professional Referee Organization and the Professional Soccer Referees Association reached tentative agreement on a successor collective bargaining agreement under the auspices of the Federal Mediation and Conciliation Service (FMCS). Subject to the ratification of the membership, the new agreement will cover a five-year term with a new expiration date of January 15, 2024. This agreement followed five consecutive days of mediation at the FMCS offices in Woodbridge, New Jersey. WASHINGTON, DC – Federal Mediation and Conciliation Service (FMCS) Acting Director, Rich Giacolone announced on June 26 during a regularly-scheduled managers’ meeting that, effective immediately, FMCS Commissioner Gary Hattal will be replacing John Pinto as Deputy Director of Field Operations in preparation for Pinto’s upcoming retirement. Pinto served FMCS for almost 30 years, beginning his career as a field mediator in 1988 and assuming the duties of Deputy Director, Field Operations in 2016. The Deputy Director, Field Operations oversees the FMCS field office structure and ensures maximum support to all field staff, including administrative assistants, mediators, and managers. Hattal has been with FMCS since 1995 and has served as a field mediator in three field stations (Washington, D.C., Oakland, CA and Seattle, WA), director of Arbitration Services for the FMCS, director of the FMCS Institute for Conflict Management, and as a special assistant to the FMCS’s former Agency Director. He has served across a variety of arenas including dispute settlement, preventive mediation, training, assessment, coaching, and facilitation skills to achieve enhanced work relationships. He has varied and extensive experience in the phases of interest-based negotiations procedures, organizational culture, and labor-management partnership development. Prior to receiving his FMCS appointment, Hattal’s experience includes over 15 years of labor relations representation, contract negotiations, and has served as an adjunct professor for numerous colleges and universities. Giacolone also announced that FMCS Commissioner David Thaler will be transitioning to a new position as Senior Advisor to the Director’s Office. In this capacity, Thaler will advise and support senior managers in the Office of the Director in policy development and implementation. Thaler, previously based out of the Metro New York field office, mediated disputes involving collective bargaining, and designed and facilitated labor-management committee cooperation efforts involving major hospitals and unions in the New York City area. He also trained labor and management partners in a variety of industries in core relationship and communications skills so that they could excel in the administration phase of their collective bargaining agreements. Prior to joining FMCS, Thaler practiced employment and commercial litigation in New York City, handling cases involving employment-related statutes such as the Fair Labor Standards Act and Title VII. 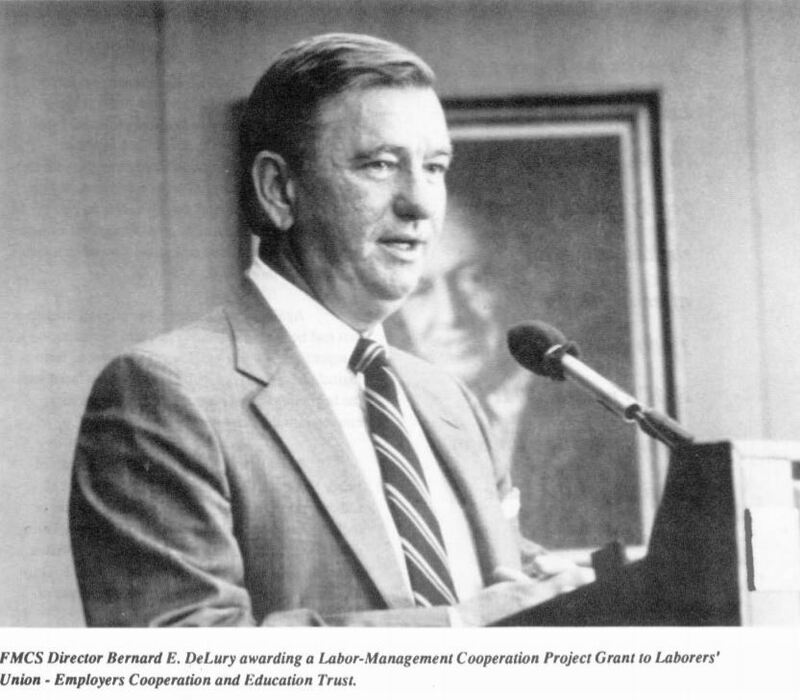 He later served as an International Programs Officer with the Bureau of International Labor Affairs at the U.S. Department of Labor. the needs of both sides. Learn How to File Your “Notice to Mediation Services” (Form F-7) Online! Did you know? You can file your “Notice to Mediation Services” (Form F-7) online! It’s fast, easy, and convenient. To learn how to file online, click here. The American workplace is the basic foundation of the U.S. economy, and the ability of American business to compete worldwide relates directly to workplace performance. The workplace labor-management relationship, therefore, has major economic implications, because it affects product and service quality, productivity and profits of firms, and the jobs and employment security of workers. To assist management and labor in improving their relationship so they can learn to work together on issues of mutual interest, as a team instead of adversaries, FMCS offers a range of Relationship Development and Training services. WASHINGTON, DC – The deadline to apply for a labor-management grant from the Federal Mediation and Conciliation Service (FMCS) is now less than a month away; and time is growing short to earn grant funding for projects such as improving workers’ skills, addressing workplace health and safety issues, or jointly resolving labor-management issues. FMCS grants totaling approximately $500,000 will be awarded in FY 2018 to promote best practices in labor-management cooperation as a way of improving collective bargaining and proactively mitigating labor-management disputes. The grant program supports the establishment and operation of joint labor-management committees at the company level, on a community or area-wide basis, within a particular industry, and for public sector employees. FMCS grants are intended to support and promote labor-management cooperation as well as joint, innovative solutions to disruptive workplace issues. Detailed information and application training videos are available at https://www.fmcs.gov/resources/forms-applications/labor-management-grants-program/. Interested parties are urged to contact the FMCS Grants Office at (202) 606-8181 with any questions they might have. 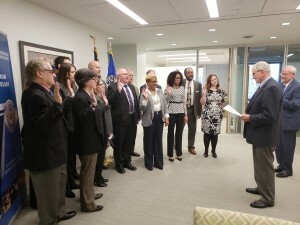 WASHINGTON, DC– The Federal Mediation and Conciliation Service (FMCS) hosted 14 newly commissioned mediators Mar. 19-23 in its Washington, DC headquarters as part of an annual training program designed to prepare new mediators to help FMCS labor and management customers better manage disruptive contract and workplace disputes. The five-day program, led by senior FMCS staff, introduced a variety of professional topics including administrative procedures, mediator code of conduct and ethics, the history of FMCS, the National Labor Relations Act and alternative dispute resolution. Mediators from FMCS provide a multitude of services to both the public and private sector to build labor-management partnerships, manage conflict, and avert or mitigate the damaging effects of workplace disputes. Many of the new mediators are already experienced labor-relations professionals, with expertise in resolving labor-management disputes, building labor-management relationships, and alternative dispute resolution for government agencies. FMCS equips them to help build better relationships through joint problem-solving and by advocating constructive responses to inevitable conflict. Organizations that reduce conflict become more efficient, creating more value for customers, shareholders and employees alike, and substantially benefit the national economy. Mediators arrived in Washington from across the country, representing some of the more than 60 FMCS field offices and 10 regional offices. Although new to federal mediation, all the mediators are experienced in labor-management negotiations whether on the labor side or the management side. At the end of the training, the new mediators returned to their respective field locations to continue working alongside more seasoned FMCS mediators until they begin working their own cases. “I’m excited to develop this skillset and use my position as a neutral to help facilitate better relations among disputing parties to hopefully avoid strikes or lockouts and get everyone to a place they are equally comfortable with,” said Healy. FMCS, created in 1947, is an independent agency whose mission is to preserve and promote labor-management peace and cooperation. Headquartered in Washington, DC, with ten regional offices and more than 60 field offices, the agency provides mediation and conflict resolution services to industry, government agencies and communities. WASHINGTON, DC – The U.S. Federal Mediation and Conciliation Service (FMCS) has received the top ranking among 28 small Federal agencies as a “best place to work” in the government, according to an analysis of survey results by the nonprofit Partnership for Public Service. FMCS was recognized at a Partnership for Public Service news conference Friday for its first place ranking in 2017, which also rated FMCS first among small agencies in several individual categories, including “Effective Leadership,” “Innovation,” and “Empowerment.” based on employee responses to survey questions. The nonprofit Partnership for Public Service, and Deloitte, which released the rankings of Federal workplaces today, based their overall ratings on responses from more than 486,105 civil servants in 410 Federal organizations to the Federal Employee Viewpoint Survey (FEVS) conducted by the U.S. Office of Personnel Management (OPM) from May to June in 2017. The Best Places to Work rankings provide critical information to help Federal agencies and Congress assess workplace health and performance. In addition to overall satisfaction and commitment, the rankings measure employee attitudes on 10 workplace categories, including effective leadership, innovation, support for diversity, work-life balance and pay. Based on previous surveys, the FMCS was the top-ranked “best place to work” among small agencies in 2005, 2007, and 2015. The rankings began in 2003, and since 2007 have been conducted annually. The FMCS generally has scored among the top five finishers for small agencies in every year that Agency results were available for comparison. Complete 2017 rankings and information about the survey are available at the Partnership for Public Service website at http://bestplacestowork.org/BPTW/. For Federal News Radio coverage of the FMCS ranking, click here. WASHINGTON, DC– The Federal Mediation and Conciliation Service (FMCS) has opened its labor-management grants application period for fiscal year 2018 and is encouraging grant applications focused on building a skilled workforce in every segment of the U.S. economy where employers have experienced difficulties in filling available good-paying jobs requiring specialized training and new skill sets. “We want to encourage labor organizations and employers to think about the jobs of tomorrow and to explore options with the FMCS grants program for developing joint training programs that can teach the skills needed to fill these jobs,” said FMCS Deputy Director Scot L. Beckenbaugh. “Working with FMCS to build cooperative efforts, unions and employers can also benefit from improved labor-management relationships and increased competency in joint problem-solving through anticipating and teaching the skills that the workers of tomorrow will need,’ Beckenbaugh said. Starting March 12, 2018, grant applications may be submitted until May 31, 2018. Application information and instructions for completing the process can be obtained online on the FMCS website. Interested parties are urged to contact the FMCS Grants Office at (202) 606-8181 with any questions they might have. WASHINGTON, D.C. — The Federal Mediation and Conciliation Service (FMCS) today announced 10 recipients of labor-management grants totaling $895,096 to fund cooperative projects addressing disruptive workplace issues, including the “skills gap” between applicants and job vacancies in fields such as manufacturing and the building trades. In this year’s grants program, FMCS especially sought applications targeting a shortage of skilled workers for U.S. manufacturing jobs and other vital economic sectors. Grant recipients reflected a variety of approaches to developing a more skilled workforce as well as proposals that jointly tackle other workplace issues for labor and management. The successful labor-management applicants reflect both economic and geographic diversity, including diverse industries and regions. “I am extremely gratified by the outstanding applications we received for this year’s grants program. Our grantees represent the best of the best. They offer real creative approaches to building skill levels in young workers for our nation’s workplaces. 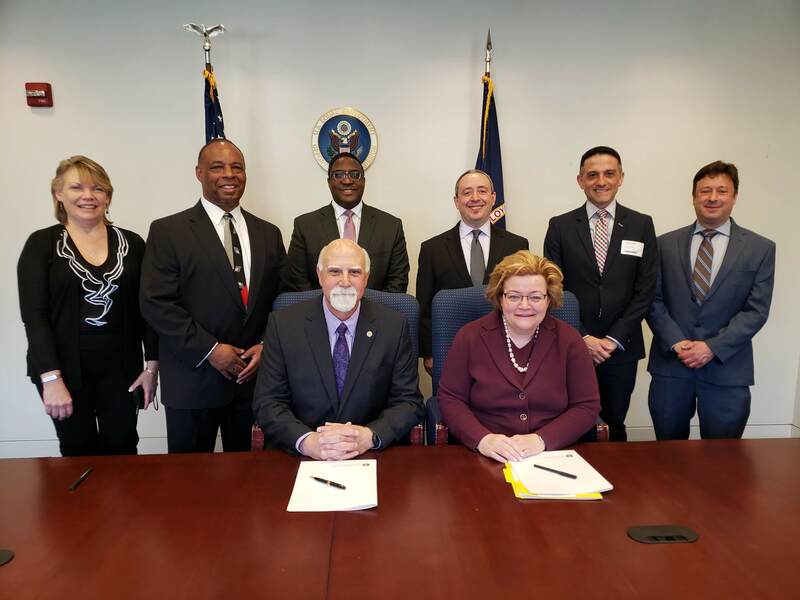 In addition, our grantees are showing innovative ways that labor and management can team up to jointly resolve other, potentially disruptive workplace issues,” said FMCS Acting Director John Pinto. Click for a summary of the FY 2017 FMCS labor-management grant recipients. 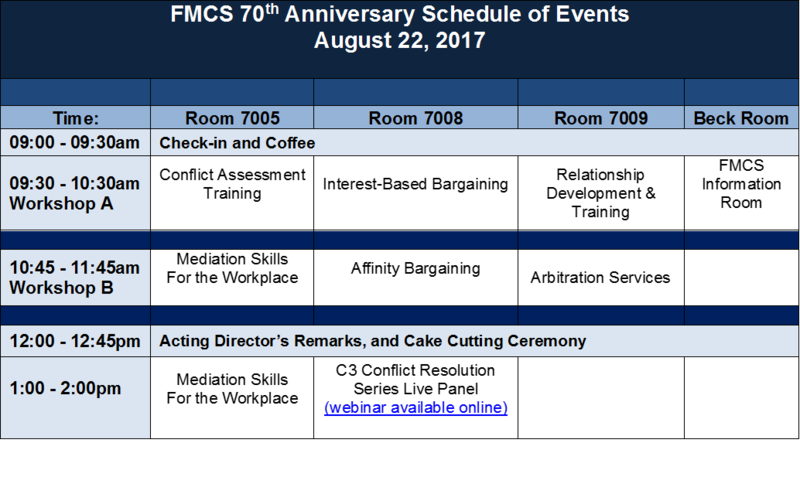 WASHINGTON, DC –The Federal Mediation and Conciliation Service (FMCS) observed its 70th anniversary with a celebratory cake on August 22, 2017 with a day of seminars and webinars for its labor-management customers and interested parties seeking to improve their collective bargaining relationship, resolve workplace disputes, or bargain more effectively and efficiently. 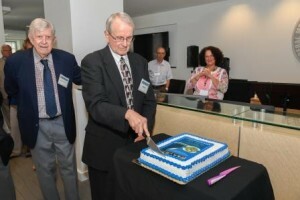 Acting Director John Pinto slices an FMCS anniversary cake, and former Director Ken Moffett observes. Anyone interested in learning more about FMCS dispute resolution services was invited to attend either the in-person or online events as well as a noontime anniversary cake-cutting ceremony led by Acting Director John Pinto with distinguished guests and former FMCS Directors Ken Moffett (1981-82), Bernard DeLury (1990-93), Peter Hurtgen (2002-05), and George Cohen (2009-13). 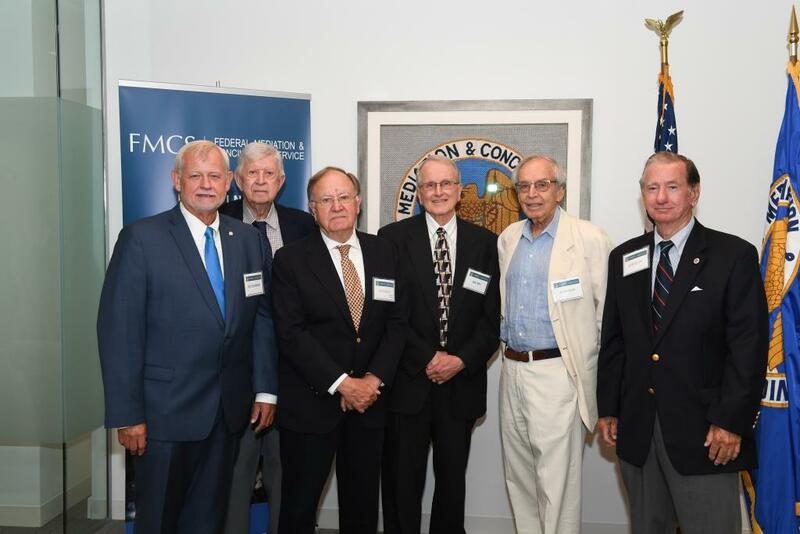 Former FMCS Directors gather for the Agency’s 70th anniversary celebration. 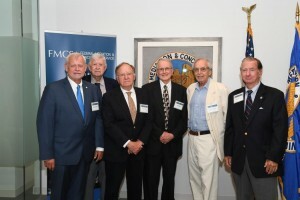 Left to right, Deputy Director Scot Beckenbaugh; former Director Ken Moffett (1981-82); former Director Peter Hurtgen (2002-05); Acting Director John Pinto; former Director George Cohen (2009-13); and former Director Bernie DeLury (1990-93). The former FMCS Directors joined Acting Director John Pinto and Deputy Director Scot Beckenbaugh in cutting an FMCS anniversary cake and marking the occasion with some impromptu remarks and remembrances. To better serve our customers, FMCS launched a totally new arbitration software system on Monday, June 19, 2017. The new system is designed to be more user-friendly for customers and to offer more options, flexibility, and more efficient service. With a step-by-step guide, learning how to use the new FMCS software interface should be quick and easy, and FMCS staff is available to help at every phase. As a first step, customers are asked to complete a simple, one-time registration before making their first panel request following the June 19 launch. Detailed instructions are on the arbitration panel request page. If you have questions at any stage, please contact us at arbitration@fmcs.gov. FMCS observed the Agency’s 70th Anniversary at FMCS headquarters at 250 E Street SW, Washington, D.C., on August 22, 2017, with a day of seminars and webinars for its labor-management customers and interested parties seeking to improve their collective bargaining relationship, resolve workplace disputes, or bargain more effectively and efficiently. The new FMCS C3 Conflict Resolution Series of webinars was launched as part of the day’s events, highlighting trends and strategies related to conflict resolution that are designed to help labor-management better communicate and collaborate to create solutions for the Future@Work. The day also featured a panel discussion focusing on 21st Century Leadership – and how labor and management can apply best practices of leadership in their own organizations. Panelists included: Brian Redmond PhD, Penn State University; Silvia Fabela, The Center for Popular Democracy; Israel Nunez, USAF Reserve and FMCS; and Moderator Conrad Bowling. Currently, all seats for anniversary events have been fully booked. Join us online for the launch of the C3 Conflict Resolution Panel Series. Click the image to enlarge the schedule of events or download it here. WASHINGTON, D.C. – Federal Mediation and Conciliation Service (FMCS) Acting Director John Pinto today applauded the recent announcements regarding a three-year contract extension between the International Longshore and Warehouse Union (ILWU) and of the Pacific Maritime Association (PMA). When finalized on August 4, the extension will ensure stable labor relations among employers and the ILWU at all 29 U.S. West Coast ports to July 1, 2022. The FMCS Acting Director praised both labor and management representatives for taking early and decisive action to resolve their differences well ahead of the scheduled contract expiration in 2019. “Recognizing and addressing mutual issues of concern in advance of a contract deadline is always our recommendation where difficult and complex issues are involved,” Pinto said. “ ILWU President, Bob McEllrath, PMA Executive Director Jim McKenna, the members of their bargaining committees and the respective members of both organizations are to be commended for their success in utilizing the collective bargaining process to bring the hope of calm, stable, and continued economic progress to the West Coast ports and the U.S. economy. Those talks, which led to a settlement that ultimately restored the ports to normal operations, were successfully mediated by FMCS Deputy Director Scot L Beckenbaugh. With their recent announcements, the ILWU and PMA have extended the main provisions of that contract, with wage, pension, and health care amendments, until a July 1, 2022 expiration date. The Tennessee Labor Management Foundation brings together the state’s top executives, union leaders, academia and decision makers. Regarded as one of the top labor-management organizations in the state, the Foundation links leaders in labor, management and higher education, and offers educational conferences statewide. As evidence that FMCS expertise in labor dispute resolution is recognized and valued around the world, the Agency hosted leaders from many nations June 29-30 for discussions about labor-management conflict and the role of the Agency in providing mediation and other dispute resolution services. This year’s Louisiana-Mississippi Labor-Management Conference will give leaders in management and labor opportunities to examine the impact of social media on the workplace and other hot topics in labor and employment law. Also on the conference agenda, program segments featuring a Healthcare Update; the Affinity Method of Collaborative Economic Bargaining; Updates from Regulatory Agencies, and much more! Understanding and recognizing this “collective activism” – a desire to leverage the resources of large entities, including government, to change the world rather than act alone – is essential for companies that hope to develop effective labor-relations strategies and have the Competitive Edge. Learn how to get the “Competitive Edge” at the Texas Labor-Management Conference, July 12-14. The Georgia Labor Management Conference brings together unionized workers and their employers, along with lawyers, educators, government agencies and others whose work supports labor management relations. For more conference information, click here. FMCS provides services and programs that enable labor and management to better work together in joint problem solving and resolve differences at the collective bargaining table. WASHINGTON, D.C. — The Federal Mediation and Conciliation Service (FMCS) today announced that the deadline for applications for FMCS labor-management grants for fiscal year 2017 has been extended to June 16, 2017. Under the program, FMCS awards a limited number of competitive grants to encourage and promote labor-management cooperation as well as joint, innovative solutions to disruptive workplace issues. With today’s announcement of an extension to the deadline, grant applications may now be submitted to FMCS until June 16, 2017. Application information about how to apply can be obtained online at the Agency’s Web site—www.fmcs.gov. Interested parties are urged to contact the FMCS Grants Office at (202) 606-8181 with any questions they might have. As is Agency practice, the FMCS is not releasing additional information regarding meeting dates and locations. In addition, the FMCS will have no further comment at this time regarding the status or substance of the negotiations. Two FMCS Open House events earlier this month attracted scores of visitors Jan.9 and Jan. 12 to the Agency’s new headquarters for tours of state-of-the-art meeting and conferencing facilities, demonstrations of new technologies, and information on FMCS programs and services. The FMCS Annual Report for Fiscal Year 2016–a year of transition and accomplishment for the Agency–is now available online. To access the full text of the report in PDF, click here. WASHINGTON, DC – The U.S. Federal Mediation and Conciliation Service (FMCS) today was again ranked among the top five Federal government’s small agencies as being a “best place to work” in the yearly 2016 government rankings, released by the Partnership for Public Service at a news conference this morning. In two individual categories within the overall rankings, FMCS received a top-rated, number one ranking among small Federal agencies—for employee “Empowerment” and for “Training and Development.” Throughout the other rating categories, FMCS ranked at or near the top. 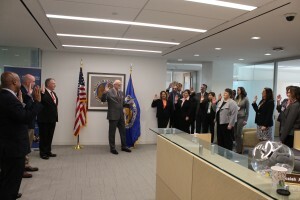 Under Director Beck, FMCS two years ago launched a re-organization and re-structuring that emphasized employee engagement, inclusion, and new ways to inspire creativity, teamwork, innovation, and service delivery. As a neutral, dispute resolution agency, a priority for the re-structuring was to ensure the Agency’s culture fully reflected the values that FMCS espouses, both with customers and employees—open communications, transparency, and joint problem-solving, Director Beck said. The 2016 rankings add to many years of recognition for FMCS as a “best place to work” within the Federal government. FMCS achieved the Partnership’s overall number one ranking in 2015 among all small Federal agencies. Based on previous surveys, FMCS also was the top-ranked “best place to work” among small agencies in 2005 and 2007. The rankings began in 2003, and since 2007 have been conducted annually. FMCS generally has scored among the top five finishers for small agencies in every year that Agency results were available for comparison. Produced by the Partnership and Deloitte, the Best Places to Work rankings provide critical information to help individual agencies, the Administration, and Congress assess workplace health and performance. The FMCS carefully reviews and analyzes the results of each year’s survey to identify areas where improvements can be made. In addition to overall satisfaction and commitment, the rankings measure employee attitudes on 10 workplace categories, including effective leadership, innovation, support for diversity, work-life balance, and pay. Agencies are ranked based on the responses of their own employees to the government-wide, Federal Employee Viewpoint Survey conducted by the Office of Personnel Management. For detail on the FMCS ranking, go to http://bestplacestowork.org/BPTW/rankings/detail/FM00. Complete 2016 rankings and information about the survey are available at the Partnership for Public Service website at http://bestplacestowork.org/BPTW/. WASHINGTON, D.C. — FMCS Director Allison Beck today honored the outstanding leadership of the American Water Works Company, Inc. and the Utility Workers Union of America (UWUA) as a “shining example” of labor-management cooperation in the United States with the presentation of the FMCS Director’s Award for Excellence in Labor-Management Cooperation. “Over the years, and in various ways, FMCS has paid tribute to great labor-management partnerships,” Director Beck stated. “This year, it is my distinct pleasure to recognize two very special organizations with the FMCS Director’s Award for Excellence in Labor Management Cooperation.” In bestowing the Agency’s highest award to labor and management, Director Beck cited joint efforts by the company and the union in support of efforts to rebuild the national water infrastructure with public-private partnerships and to improve the skills and safety of American Water employees with training. “American Water and the Utility Workers Union of America have set a shining example of what a company and its workers can achieve when they choose cooperation over conflict,” Director Beck stated in presenting the FMCS award to American Water CEO Susan Story and UWUA President Mike Langford during an online presentation ceremony. American Water Works, headquartered in New Jersey, is the largest publicly traded water and wastewater utility company in the country, serving over 15 million people in 47 states and Ontario Canada. The Utility Workers Union of America is the company’s largest union. 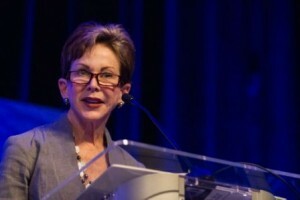 Many years of contentious labor-management relations between the company and union changed when American Water’s current CEO assumed her position in 2014 and decided with the UWUA president to explore a more cooperative labor-management approach. “Susan and Mike decided to put the past behind,” Director Beck said. “Today, we celebrate their commitment, their leadership, and some of the remarkable accomplishments they’ve achieved in just two short years. * Participation by American Water and the UWUA in two nationwide, joint labor-management conferences involving the FMCS, the most recent focusing on a “Trust Building Training Program” for conference participants at which the American Water CEO and UWUA president personally renewed their commitment to working together. * Full support from American Water for the Utility Workers’ “Power for America Training Trust Fund (P4A),” which secured a Susan Hayward Department of Labor Grant to improve the skills and safety of American Water employees. * An American Water Charitable Trust Foundation Awards Grant given to the Union Sportsmen’s (USA) Alliance for Water Conservation Projects to benefit three American Water communities with improved public access to water-based recreational opportunities and enhanced environmental sustainability of existing recreational areas. Labor conflicts related to the financial stresses that some orchestras, operas, and performing arts institutions are facing have prompted a program of special training for FMCS mediators across the country. “At FMCS, our goal is to ensure that our skilled, professional mediators are armed with the most current knowledge, information, and innovative solutions in these increasingly difficult and more frequent disputes,” Director Beck said. In accordance with FMCS practice and consistent with the requirements of mediator confidentiality, FMCS will have no further comment on the details of the tentative agreement or the substance of the negotiations. “For music lovers in Pittsburgh and around the world, the agreement between the Pittsburgh Symphony Orchestra and its world class musicians is welcome news. These were extremely difficult negotiations, and I commend the musicians and orchestra management for their perseverance and their commitment to the collective bargaining process,” Director Beck said. “We are especially pleased that the Orchestra’s remaining performance season will be restored, that a European concert tour will now go forward, and that one of America’s top-tier symphonies will be thrilling audiences again. Labor conflicts related to the financial stresses that some orchestras, operas, and performing arts institutions are facing have prompted a program of special training for FMCS mediators across the country. “At FMCS, our goal is to ensure that our skilled, professional mediators are armed with the most current knowledge, information, and innovative solutions in these often difficult disputes,” Director Beck said. FMCS mediation played a key role in assisting parties involved in St. Louis, MO grocery negotiations reach a settlement that avoided a potential strike, according to local news coverage. UFCW Local 655 President David Cook credited FMCS Deputy Director Scot Beckenbaugh for his assistance in the labor negotiations between UFCW and the St. Louis-based Schnuck Markets Inc., covering some 4,000 employees at 52 stores in the metropolitan area. The Deputy Director led a team of FMCS mediators that included FMCS Regional Director Barbara Rumph and FMCS Commissioners Roland Lewis and Glen Reed from the Agency’s St Louis office. For local news coverage, click here. The FMCS Headquarters Has Moved to a New Location! The headquarters of the Federal Mediation and Conciliation Service has a new address. The headquarters has moved to One Independence Square, 250 E Street SW, Washington, DC 20427. WASHINGTON, D.C. – FMCS Director Allison Beck today announced the award of three grants to assist community, sectoral and industry labor-management partnerships address 21st century workplace challenges in hiring and retaining the next generation of workers, enhancing workers’ skills and safety, and adapting to the needs of businesses and workers in the transitioning economy. “I am happy to announce the successful completion of our FY 2016 FMCS grants award cycle, which has yielded three impressive grant recipients, selected from a highly competitive field of applicants,” Ms. Beck stated. The three labor-management grants total $514,486 in available funds out of nearly $3 million in proposals submitted. The highly regarded FTI MAR labor-management partnership will receive funding for a new initiative designed to attract, hire, and retain the next generation of workers in the construction industry, where there is a significant shortage of highly skilled workers. Uniquely, this program will develop both hard and soft skills among high school graduates and provide important opportunities for continuing education in post-secondary degree programs at institutions of higher learning. Partnering with two colleges on programming and curriculum development, FTI MAR will guide newly hired workers in the construction industry finishing trades from high school to a bachelor’s and master’s degree, providing program participants with advanced opportunities in construction management, architecture, and organizational design. Due to well-documented demographic changes in the U.S., there is a dramatically increasing need for skilled Home Care Workers (HCWs) to care for the elderly and disabled in their homes. Providing care in the home not only saves on hospital and nursing home costs, but also improves the quality of life of this growing population. One issue that has not been addressed in the context of this widely expanding sector of the economy, however, is the increased risk of on-the-job injuries to individual HCWs. Unlike workers in other industries, such as manufacturing, construction, or facility-based health care delivery, Home Care Workers lack access to standard safety equipment. To the extent such equipment is available, it currently depends entirely on the elderly or disabled client to drive the requisition process and HCWs are therefore at increased risk for on-the-job injury. FMCS seed money will permit the creation of a Labor-Management Committee to evaluate the potential of worker-carried mobile assistive devices in a “safety toolkit” that can easily be carried into clients’ homes by the HCW. The project will produce much-needed evidence about the injury reduction potential of the portable toolkit and serve as foundation for developing best practices in HCW safety. Results will be shared with key stakeholders in Washington State’s home care system as well as with a national audience to help build awareness, develop best practices, and prevent on-the-job injuries in home care. The New Jersey K-12 Public School Labor-Management Committee (the “Committee” or “LMC”) will receive a grant to advance student performance, teacher retention, and overall educational quality. Evidence has shown that a collaborative, partnership approach is a cornerstone of excellence in teaching and learning. FMCS seed money will allow the Committee to broaden and deepen its reach by regularly convening an innovative Inter-District Learning Network to facilitate the exchange of ideas, experiences, and best practices for improving educational outcomes. In addition, the establishment of a website and annual state-wide information and learning exchange will further support this network of districts, administrators, and educators. The Committee, aided by researchers from Rutgers University, will evaluate and deliver a report on the impact of increased labor-management collaboration on student performance, teacher retention, and overall educational quality at the district and local school level. The FMCS grants program, which began in 1981 under the authority of the Labor-Management Cooperation Act of 1978 (PL 95-524), has funded projects designed to improve communications, strategic planning, recruitment, industry changes, and economic development by encouraging cooperative efforts among labor, management, and communities to jointly address issues such as health, safety, employee training, and the resolution of workplace disputes. For a PDF version of the FMCS announcement, click here. Connect with FMCS on Twitter, Facebook and YouTube! Advances in science and technology are bringing enormous changes to workplaces in the 21st century with accompanying challenges to labor and management. FMCS Director Allison Beck today outlined FMCS services and programs to help unions and employers navigate the on-demand services and platform-based workplaces of the Internet-enabled economy. Speaking to the Alabama chapter of the Labor and Employment Relations Association (LERA), FMCS Director Allison Beck emphasized the benefits of labor-management partnership in addressing emerging workplace issues in the 21st century “on-demand” economy, powered by Internet platforms that connect customers to services. Follow FMCS on Facebook and Twitter! Three days of successful workshops, expert speakers and inspiring dialogue at the FMCS 2016 National Labor-Management Conference in Chicago concluded Friday, August 19, with a morning plenary panel discussion titled “NLRB Trends in the Future@Work: The View from All Sides.” The distinguished panel members included: Mark Gaston Pearce, Chairman, NLRB; and Richard F. Griffin, Jr., General Counsel, NLRB. Lynn Rhinehart, General Counsel, AFL-CIO; and Randel K. Johnson, Senior Vice President, Labor, Immigration and Employee Benefits, U.S. Chamber of Commerce, served as moderators with introductions by FMCS Director Allison Beck. NLRB Member Philip A. Miscimarra, appeared via pre-recorded video. 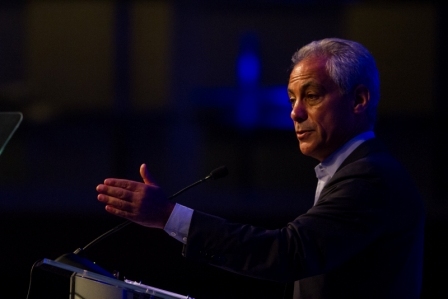 Chicago Mayor Rahm Emanuel speaks to Future@Work attendees in first-day session. Jason Dorsey, Chief Strategy Officer and Millennials Researcher at The Center for Generational Kinetics, wrapped up the Conference with a plenary address titled “Recruiting and Retaining the Next Generation of Workers,” introduced by Lu-Ann Glaser, FMCS Manager of National Programs and Initiatives. FMCS Director Allison Beck delivered summary remarks to close the conference. 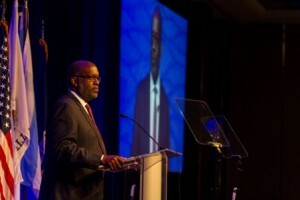 Bernard J. Tyson, Chairman and CEO of Kaiser Permanente, speaks on change and technolog to Future@Work first-day attendees. The awesome line up of conference speakers and presenters began Wednesday with remarks from Rahm Emanuel, Mayor of Chicago, Jorge Ramirez, President of the Chicago Federation of Labor; and a keynote speech by Bernard Tyson, CEO and Chairman of Kaiser Permanente, who spoke on the prospect of technological change and a coming “Fourth Industrial Revolution.” Other featured speakers and presenters during the conference included national labor-management and new economy leaders, such as Richard Trumka, President of the AFL-CIO; Susan N. Story, President and Chief Executive Officer of American Water; Christina Stembel, Founder and CEO Farmgirl Flowers, Thomas Kochan, George Maverick Bunker Professor of Management and Co-Director, MIT Sloan Institute for Work and Employment Research; Wilma B. Liebman, Former Chairman, National Labor Relations Board; and Dan Yager, President and CEO of the HR Policy Association, along with many others. An inspiring pre-conference “Partnership Day” program on Tuesday, led by former Secretary of Labor Robert Reich with panel discussions by labor and management representatives on successful partnerships between unions and major employers around the country, set the stage for the three-day FMCS gathering. Also see Labor and Management Look Ahead at Federal Sector Labor Relations at FMCS Future@Work Conference. Also see Telework a Hot Topic for Federal Labor-Management Discussion at FMCS Future@Work Conference. Connect with FMCS for coverage of Conference events on Twitter, Facebook and YouTube! Scroll down to check out the Conference coverage on Facebook and Twitter! Scroll down for Conference dialogue on Twitter! An $80,000 labor-management partnership grant in 2011 from the Federal Mediation and Conciliation Service to the International Association of Machinists and Aerospace Workers and a group of some 60 employers gave an important boost to the IAMAW Local 701 Training Center in Carol Stream, IL. The grant money helped create a state-of-the-art automotive apprenticeship training program. In succeeding years, the number of employers participating in the apprenticeship training program has grown from 60 to more than 500; more than 400 courses have been taught, and the program is still growing. For coverage of the FMCS-funded project and the Future@Work Conference panel discussion in the IAMAW newsletter, click here. The 2011 FMCS labor-management grants spotlighted in the Future@Work Conference panel discussion was just one of the grants awarded that year. The FMCS grants program funds a number of partnership grants applications, depending on funding availability, each fiscal year. For information on the FMCS grants program, click here. In closing remarks at the FMCS Future@Work National Labor-Management Conference, FMCS Director Allison Beck pointed to the new problem-solving tools and techniques highlighted by speakers and presenters at the Conference that can help unions and employers find their way through complex new workplace issues of the 21st century. “Working together,” she told attendees, “It’s possible to find common ground, to find solutions. And there are so many new tools and techniques to help you do that. None of them are complicated. “Sometimes they mean learning a fact–like learning that robots can actually increase jobs, not eliminate them,” she said. “Sometimes they mean remembering history–like recalling that the challenges of the gig economy are really not new, that our colleagues in industries as different as construction and performing arts solved them decades ago. “And, sometimes they mean learning some science, that what was once an esoteric science about brain function is fundamental to the success of our organizations” she said. For more Future@Work coverage, click here. Federal sector labor and management leaders from the Government Accountability Office (GAO) and the General Services Administration shared knowledge and their experiences with designing and implementing expanded telework programs in a broad-ranging panel discussion that was among the more than 70 workshop sessions at the recently concluded FMCS Future@Work Conference in Chicago. Topics included opportunities for cost savings, performance improvement, and employee engagement. The Federal panelists also looked at how to sustain workplace connections and collaborations for teleworkers with their co-workers, and how to hold teleworkers accountable for their work. Julia Akins Clark, Federal Labor Relations Authority (FLRA) General Counsel, introduced the panel, which included: William R. Dougan, National Federation of Federal Employees (NFFE) President; Charles Hardy, GSA Chief Workplace Officer; Ron La Due Lake, GAO Employees Organization; Jackie Nowicki, GAO Education, Workforce and Income Security Team Director; Shamar Cowan, GAO Chief Negotiator; and Greg Weddle, FLRA Regional Attorney. Marsha Ross-Jackson, Assistant Dean for Student Professional Development, Executive Director of the Institute for Law and the Workplace, moderated the discussion. For news coverage of the Future@Work workshop “Making Telework Work: Best Practices for Sustaining High Performance and Customer/Employee Satisfaction,” click here. 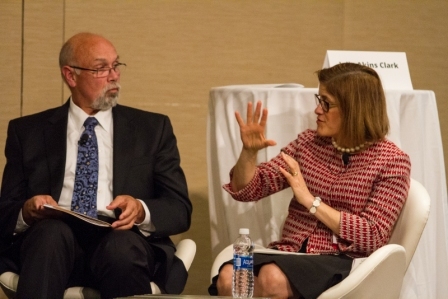 For coverage of the FMCS Future@Work Conference, click here. In a program session at the FMCS Future@Work Conference in Chicago this week, Federal sector union leaders and Acting OPM Director Beth Cobert acknowledged improved labor relations in many Federal agencies, but could not predict what the future may hold with a change in Administrations. To read news coverage of what David Cox, national president of the American Federation of Government Employees; Greg Junemann, president of the International Federation of Professional and Technical Engineers;Tony Reardon, national president of the National Treasury Employees Union; Bill Dougan, president of the National Federation of Federal Employees; and OPM’s Beth Cobert told FMCS conference attendees, click here. For more coverage of the FMCS Future@Work conference, click here. With assistance from the Federal Mediation and Conciliation Service, the New York City-based Joffrey Ballet has reached a new five-year contract for its company of 41 dancers, represented by the American Guild of Musical Artists (AGMA). According to a recent announcement of the contract by the Ballet, the agreement is effective immediately and extends through the 2020-2021 season. Read news coverage of the agreement and negotiation here. FMCS National Labor-Management Conference – Sold Out! The FMCS 2016 National Labor-Management Conference is sold out! To get your name on the Conference wait list: Register Now! The FMCS 2016 National Labor-Management Conference August 17-19 at the Chicago Hyatt Regency Hotel. Check out the complete conference program for the list of nationally known keynoters and more than 70 workshops ! Registration is now open for the FMCS 2016 National Labor-Management Conference in Chicago! Join us at the Chicago Hyatt Regency Hotel to prepare for the Future@Work! Innovative and Expedited Bargaining Processes including the Affinity Model of Collaborative Bargaining – an FMCS pioneered process that has a proven track record of success in completing even the most complex economic bargaining in hours versus days, weeks, or months! You won’t want to miss these distinguished speakers and outstanding experts! Featured Speakers include national labor-management and new economy leaders, such as Richard Trumka, President of the AFL-CIO; Susan N. Story, President and Chief Executive Officer of American Water; Jason Dorsey, International Expert on Generational Dynamics, Millennials, and Generation I; Richard F. Griffin, Jr., General Counsel of the National Labor Relations Board; Christina Stembel, Founder and CEO Farmgirl Flowers, Thomas Kochan, George Maverick Bunker Professor of Management and Co-Director, MIT Sloan Institute for Work and Employment Research; Wilma B. Liebman, Former Chairman, National Labor Relations Board; and Jorge Ramirez, President of the Chicago Federation of Labor. Invited speakers include William Clay “Bill” Ford, Jr., Executive Chairman of the Ford Motor Company; and Thomas Perez, U.S. Secretary of Labor and many more! Check out the conference program brochure for a complete list of nationally known speakers and more than 70 workshops! For more information on the great programs being lined up as well as registration for the conference, please visit the FMCS National Labor Management Conference Website. In an increasingly competitive and fast-moving environment where new technologies and business models are disrupting nearly every sector of the U.S. economy, the FMCS continues to develop innovative new services to minimize and prevent workplace conflict. 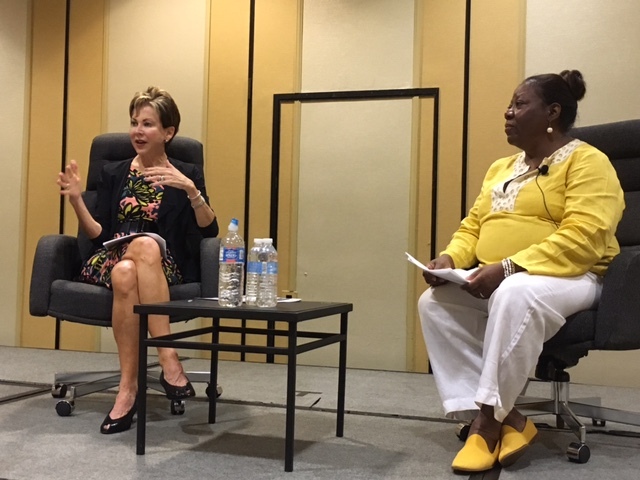 With that reality in mind, FMCS Director Allison Beck today hosted a Town Hall Conversation at the Federal Dispute Resolution Training Conference in New Orleans, LA to help attendees better understand the FMCS resources available to help parties develop and sustain good labor-management relationships. Follow Allison Beck on Twitter and view social posts from the town hall. FMCS Director Allison Beck takes questions during FDR Training Town Hall with FMCS EEO Director Denise McKenney. 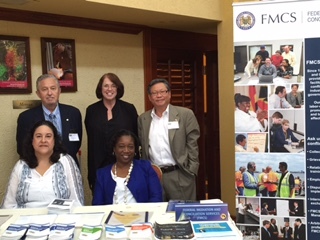 The four-day Florida Labor Management Conference in St. Petersburg Beach ends on a high note with strong support from FMCS mediators promoting the conference theme of Progress Through Partnership and taking part in the program that reached a big audience of union and employer representatives. Click here for a Twitter post from the conference. Follow the FMCS on Twitter here. “This tentative agreement represents the cumulative effort of many people and is the product of very hard work by the negotiators from both sides. I want to commend the negotiating teams for both the UFCW and the employers for their patience, their perseverance, and their commitment to the process of collective bargaining in working out their differences. It is a tribute to their efforts, to collective bargaining, and to the process of mediation that this positive outcome has been achieved and a possible work stoppage affecting thousands of families has been avoided. “With this positive result, I also want to commend the work of FMCS Deputy Director Scot Beckenbaugh and Commissioner Isael Hermosillo, who assisted the negotiators for the UFCW and the supermarkets in resolving their differences. These were long and difficult bargaining sessions, and through the efforts of our FMCS mediators, the parties stayed at the table and made difficult choices that resulted in today’s agreement. In accordance with FMCS practices and consistent with the requirements of mediator confidentiality, FMCS will have no further comment on the details of the agreement or the substance of the negotiations. “Under the auspices of Federal mediators, representatives from Con Edison and UWUA Local 1-2 were able to resolve their differences on major issues, such as wages and health care, which required long hours and intensive efforts at the bargaining table. Thanks to their efforts, Con Edison operations will continue without disruption as will the lives of Con Edison workers, their families, and Con Edison customers. I want to commend the parties for their commitment to resolving their differences at the bargaining table through the process of collective bargaining and to thank them also for their professionalism and for their cooperation with our mediators throughout a difficult and stressful process,” Ms. Beck stated. The agreement still must be ratified by the union and approved by the Con Edison Board of Trustees. WASHINGTON, DC—Allison Beck, Director of the Federal Mediation and Conciliation Service (FMCS), issued the following statement today on the announcement that a tentative agreement had been reached in negotiations between Brigham and Women’s Hospital (BWH) in Boston, MA and the Massachusetts Nurses Association (MNA), averting a strike by approximately 3,300 care-givers at the hospital planned for Monday, June 27. “These were difficult and very lengthy negotiations for the hospital and union representatives, involving a number of very complex issues. Thanks to the perseverance and hard work of the negotiating teams, it appears that an historic work stoppage has been averted at this vital health care facility and operations will resume on Monday without disruption,” Ms. Beck stated. WASHINGTON, D.C. – The application deadline for a labor-management grant from the Federal Mediation and Conciliation Service (FMCS) has been extended to June 30, 2016 to accommodate the late expressions of interest among many labor-management parties that still wish to apply. The FMCS grants program offers labor-management applicants the opportunity to launch an innovative program with FMCS seed money. With new challenges of the 21st century workplace testing the bonds of traditional labor-management partnerships, FMCS is looking for proposals that address the transitioning workplace, hiring and retaining new generations of workers, and rapidly advancing technology-based work structures. The new deadline for applications offers would-be applicants an additional month to file. FMCS grants will be awarded in amounts from $50,000 to $400,000, which is a departure from the previous funding cap of $125,000 for geographic or industry-wide committees. Parties with well-qualified proposals should not assume that there will be a significantly larger funding pool next year! Any future increase in grant funding is entirely dependent on the FY 2017 Congressional appropriations process. Detailed information and application training videos are available at this link. For additional information, contact the FMCS Grants Office at 202-606-8181. WASHINGTON, D.C. – Following the announcement of an agreement in principle in Verizon-CWA-IBEW talks, union officials praised Labor Secretary Thomas Perez and Federal Mediation and Conciliation Service Director Allison Beck and other officials who assisted in the negotiations. IBEW President Lonnie Stephenson praised officials. “I offer my deep gratitude to Secretary of Labor Thomas Perez and Federal Mediation and Conciliation Service Director Allison Beck for their efforts to help us reach a fair and mutually beneficial agreement that gets our members back on the job,” he said in a statement. Chris Shelton, President of the Communications Workers of America, also praised the efforts of federal mediators. “CWA appreciates the persistence and dedication of Secretary Perez, Federal Mediation and Conciliation Service Director Allison Beck and their entire teams,” he said in a CWA news release. Employees of Guthrie Corning Hospital represented by Service Employees International Union (SEIU) Local 1199 in Corning, NY ratified a new, two-year labor contract this week, reached with the assistance of FMCS Commissioner Scott Montani. The contract covers 535 registered nurses, licensed practical nurses, medical technologists and technicians, service, maintenance and clerical employees who are part of 1199 SEIU. According to news media accounts, the negotiations, which began March 11, included 14 all-day bargaining sessions with Commissioner Montani. The contract was set to expire at midnight Saturday, April 30. For local news coverage, click this link. Janitors represented by Service Employees International Union United Service Workers West in Los Angeles and other California locations ratified a new labor contract this week, reached with the last–minute assistance of FMCS Commissioner Isael Hermosillo, avoiding a possible strike by approximately 20,000 covered employees. According to news media accounts, building workers in Southern California and in the San Francisco Bay Area approved a new deal reached in weekend negotiations that concluded in the early morning hours of May 2. Negotiators were helped to the finish line by Commissioner Hermosillo. The janitors had voted to strike if no deal was reached. After meeting for two days with FMCS Commissioner Conrad Bowling, representatives for the University of Illinois and Non-Tenure Faculty Coalition Local 6546 reached a tentative agreement on a new labor contract, ending a two-day old work stoppage by the faculty at the Urbana-Champaign campus that was to have resumed May 2. Negotiators met in federally mediated discussions led by Commissioner Bowling all day Friday and Saturday. With the help from FMCS Commissioner Isael Hermosillo, who worked with the parties around the clock in a difficult, overnight negotiation, drivers and a San Diego-area bus company avoided a possible strike that could have had dire consequences for local commuters. The San Diego-area transit district had issued a warning last week that a strike could occur at any time, and that bus riders should be prepared to manage without bus service. However, with assistance from a federal mediator, Teamsters Local 542, representing some 300 drivers, and First Transit, which operates buses in the district, were able to reach a tentative agreement after a lengthy bargaining session. The drivers had been working without a contract since June 30. In a statement issued to the news media, First Transit spokesman Jay Brock said, “We would like to recognize the assistance of the federal mediator (Commissioner Hermosillo), and the work of the bargaining committees for both sides in reaching a mutually beneficial agreement to continue service for NCTD customers. American Federation of Teachers NM, Las Cruces Transportation Federation Local 6341, representing Las Cruces Public School bus drivers, and STS of New Mexico on April 13 announced a tentative deal averting a possible strike. With help from FMCS mediator Dennis Teel, the parties completed more than five hours of negotiations and emerged with a tentative agreement. While details of the agreement are unavailable at this time, the parties publicly thanked Commissioner Teel for his efforts. The agreement is subject to a ratification vote. U.S. Department of Veterans Affairs Secretary Robert McDonald visited the St. Cloud VA Medical Center Friday, and met with employee union leaders who until recently were in Federal mediation with management. Led by FMCS mediators, representatives from the American Federation of Government Employees (AFGE) and managers at the St. Cloud Medical Center jointly participated in intensive training to improve workplace cooperation and delivery of patient care at the facility. Secretary McDonald credited working with the mediators for the improved situation at St. Cloud. Effective March 16, 2016, FMCS Commissioner Ramona Buck was named the new Chair of the Federal government’s Interagency ADR Working Group (IADRWG), which assists Federal agencies in developing and implementing ADR programs. In her new role, Commissioner Buck will provide leadership to ADR professionals in agencies across the Federal government. “I am honored to hold this position and hope to collaborate with the other IADRWG agencies to promote and support ADR processes and programs throughout the Federal government,” she said. Operating within the U.S. Department of Justice, the Interagency ADR Working Group was established by Presidential Memorandum dated May 1, 1998, to assist Federal agencies in developing and implementing ADR programs. The Working Group’s members are ADR professionals in agencies across the Federal government. The President appointed the Attorney General as the leader of the Interagency Working Group, which functions as the central forum and resource for information about the Federal government’s use of ADR. The Working Group has operated primarily through these Sections to provide technical assistance and guidance on best practices in ADR program development. These Sections regularly conduct training sessions, meetings, and colloquia on all aspects of ADR. Working with the IADRWG, Commissioner Buck has been leading the group’s Outreach subcommittee since 2012 and has led efforts to re-establish the IADRWG newsletter, which is posted on the ADR.gov website and hosted by the U.S. Justice Department. The Office of Personnel Management (OPM) has released a 2015 report on Federal Executive Boards (FEBs) nationwide, detailing FEB program successes, which credited a joint training program with the Federal Mediation and Conciliation Service (FMCS) in providing leadership and ADR training to local FEBs. Under a 2014 memorandum of understanding between the FMCS and OPM, the FMCS provides mediation training services for the FEB programs. Under the agreement, the FMCS manages administrative processes, including registration for the trainings, and the FEBs assist with advertising and identifying training space. After a year of implementation, more than 96 percent of the training participants agreed that the training addressed important aspects of their needs, and slightly less than 100 percent were satisfied with the quality of the course, according to the OPM report. In addition, 88 percent of the FEB coordinators had a very good experience utilizing the revised FMCS training process. Overall, during FY 2015, the FEB-sponsored ADR programs successfully settled 400 cases, resulting in an estimated cost avoidance of more than $18.9 million, according to the OPM report. To access the full OPM document, click here. With help from FMCS mediator Conrad Bowling, unions representing workers at the Clifford-Jacobs facility north of Champaign, IL and the employer have reached an agreement to end a five-month lockout. The four-year agreement covers workers at the plant represented by the International Brotherhood of Electrical Workers Local 601, International Brotherhood of Boilermakers, Iron Ship Builders, Blacksmiths, Forgers and Helpers, Local 1626 and International Association of Machinists and Aerospace Workers, Local 1000. Led by FMCS mediators, representatives from the American Federation of Government Employees (AFGE) and managers at the St. Cloud Veterans Hospital have jointly participated in intensive training exercises, classroom-style instruction and facilitated discussions with the joint goal of delivering quality care to veterans at the facility through collaborative and cooperative efforts and joint problem solving. Known as relationship-by-objective (RBO) training, the specialized instruction provided by FMCS is designed to reduce labor-management conflict and to improve cooperation through increased levels of trust, respect and understanding among the parties involved. RBO training is one of the services provided by FMCS to unionized workplaces nationwide in response to a joint request from labor and management. St. Cloud VA union and management officials have jointly developed several objectives to help rekindle a productive and cooperative working relationship. “Relationship by Objective was beneficial to the organization, and we’ve seen real and positive change, ” said Darlene Voltin, Federal Mediation and Conciliation Service Commissioner. 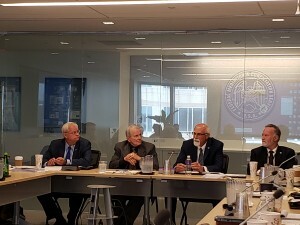 During two focused sessions, the AFGE Local 390 and VA management team developed and agreed on a set of objectives focused on returning trust and respect to the labor-management relationship, said Voltin. The objectives developed include increased labor-management training, enhanced employee recognition, a focused effort to jointly assess and utilize employee feedback, improved communication throughout the organization, and an emphasis on pre-decisional collaboration. For each objective area, action plans have been established and will be pursued over the coming year. Periodic assessments are planned to ensure the agreed upon actions are achieved. FMCS will continue to advise and mentor the St. Cloud VA team. “Everyone at the St. 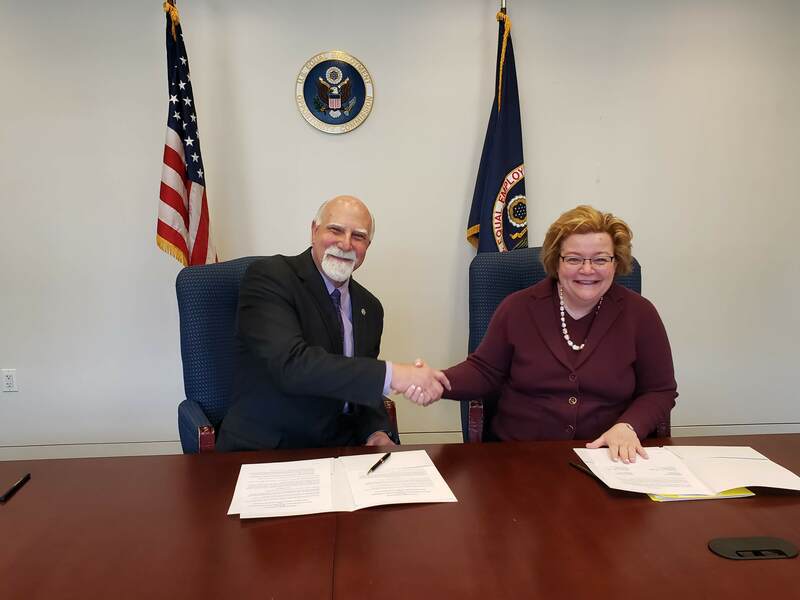 Cloud VA is tremendously proud of the care and service provided to our Veterans, and a good working relationship is important to achieving our mission,” said AFGE Local 390 President Shirley Parker Blommel. “Ensuring a quality work environment for our employees is critical to taking care of Veterans,” said St. Cloud VA Director Barry Bahl. WASHINGTON, D.C.– Starting March 1, 2016, the Federal Mediation and Conciliation Service (FMCS) is accepting labor-management grants applications for fiscal year 2016 focused on the 21st century economy and its rapidly evolving workplaces. While the Agency will consider applications from plant-level committees, the FMCS especially encourages applications from area-wide, industry or sectoral joint labor-management committees confronting specific, definable problems for which they have developed clear, innovative, and measurable long-term solutions. FMCS Director Allison Beck urges business and labor to submit proposals that address the transitioning workplace, hiring and retaining new generations of workers, and rapidly advancing technology-based work structures. “Dramatic shifts in labor market trends, coupled with the fact that significant labor-management reform activity is taking place across industries and at the city, state, and regional level, cry out for area-wide or industry-wide collaborative approaches to workplace problems,” Ms. Beck said. Under the terms of the Labor-Management Cooperation Act, area or industry-wide applicants must include, among their participants, an employer and the collective bargaining representative of its employees. As long as this threshold requirement is met, area or industry-wide committees may also include community organizations, state and local government entities and employers whose employees are not represented by a labor organization. FMCS grants in 2016 will be awarded in amounts from $50,000 up to $400,000. Applications may be submitted until May 31, 2016. Prospective grant applicants are reminded that no grant funding may be used for training, facilitation, or other services available through FMCS appropriated programs. Detailed information about how to apply is available at this link, where prospective grant applicants can also access three training videos to assist them in preparing their grant applications. If, after reviewing these materials, parties have additional questions, they may contact the FMCS Grants Office at 202-606-8181. For a PDF version of this news release, click here. Save the Date for the FMCS 2016 National Labor-Management Conference! FMCS is pleased to announce the return of the highly acclaimed FMCS National Labor- Management Conference August 17-19, 2016! For years, this biennial conference was the place for labor relations practitioners to get the most up-to-date information about sectoral trends, practical bargaining tools, and broad networking opportunities. Today, new technologies and business models are fundamentally changing nearly every sector of the economy. Bringing together all the players in the new economy is more important than ever. FMCS is ready for the Future@Work! In the past year, we’ve restructured and revamped our services to help you navigate the evolving economy. Join us at the 2016 FMCS National Labor Management conference to master the trends, tools, and techniques you will need to succeed. The Lake Villa (IL) Federation of Teachers and District 41 board of education announced that a tentative agreement was reached after a 10-month impasse. The agreement, reached with the help of a Federal mediator, comes after teachers indicated they would go on strike Feb. 29 if a new deal were not reached by that date. A ratification vote is expected within the next few weeks. The FMCS has scheduled a series of two-day workshops on space management and labor relations to be held in Boston, Chicago, Denver, and Los Angeles. The FMCS, Federal Labor Relations Authority (FLRA), and the General Services Administration (GSA) collaborated to develop the workshops. Effective Federal agency workspace management requires employee engagement and labor relations knowledge and skills. The National Strategy for Reducing the Federal Government’s Real Estate Footprint and the Office of Management and Budget’s (OMB) Reduce the Footprint (RTF) Memorandum present opportunities to improve Federal workspace quality and functionality while also reducing real estate costs. To summarize the critical employee engagement interests that must be addressed through the OMB RTF initiative, the inter-agency work group of FMCS, FLRA and GSA have created this training video. A tour of a redesigned federal space developed in partnership with agencies to create an effective and efficient 21st century workspace. An overview by GSA of its owned and leased space project lifecycle and key opportunities for employee engagement and labor-management collaboration. A review by the FLRA of the statutory duty and scope of bargaining and impasse resolution, as well as opportunities for pre-decisional involvement during office moves. Collaborative problem-solving skills training and resources by FMCS to support effective pre-decisional involvement and collective bargaining. A discussion with agencies and labor organizations that recently went through office moves about their experiences and lessons learned. Resource materials for future reference and to share with colleagues. There is NO COST to attend these workshops. Registration is expected to exceed capacity. Preference will be given to registrants who indicate that their management or union counterpart will also attend. To register, click the link for the session that you wish to attend. For a PDF version of the FMCS news release, click here. The Federal Mediation and Conciliation Service delivered on Jan. 26 its first-ever Spanish language webinar. To date, the Agency has delivered nearly 50 free live webinars for labor and employment practitioners. The webinars have been a big success, with hundreds of attendees benefiting from the extensive knowledge of FMCS mediators and ADR professionals. This Spanish language webinar titled Mediación Federal: Más que Solo Mediación (Federal Mediation: More than Just Mediation) explained how FMCS is enhancing workplace collaboration and maintaining labor peace in the United States. The session included a summary of the various services offered by Federal mediators to strengthen workplace relations, including among others, training to form labor-management committees and build the skills of the members to resolve conflicts on a continuous basis. FMCS hopes that as a result of the free webinar about alternative dispute resolution for Spanish speakers in the labor-management community that they will become more aware of their options. Additional Spanish-language webinar offerings are planned for the future. Este webinar informativo describirá el proceso usado por el Servicio Federal de Mediación y Conciliación (SFMC) en las mediaciones sobre las negociaciones colectivas y en los agravios individuales. Se discutirá el papel que juega el SFMC en aumentar la colaboración en el trabajo y en mantener la paz laboral en los Estados Unidos. Se detallará las funciones de los mediadores federales y de cada parte en los conflictos mediados por el SFMC. La sesión concluirá con un resumen de los servicios ofrecidos por los mediadores federales para fortalecer las relaciones en el trabajo. Estos Servicios incluyen no solamente la mediación de disputas. Incluyen también, entre otros, el entrenamiento para formar comités obrero-patronales y para desarrollar las habilidades de los miembros de los comités para resolver los conflictos de una manera continua. WASHINGTON, D.C. —A team of mediators from the Federal Mediation and Conciliation Service (FMCS) reports progress is being made in training to improve labor-management relations at a St. Cloud VA Health Care System. Led by FMCS mediators, representatives from the American Federation of Government Employees (AFGE) Local 390 and managers at the St. Cloud VA Health Care System have jointly participated in intensive training exercises, classroom-style instruction and facilitated discussions designed to improve skills in communicating, joint problem solving and team building—all with the goal of improving labor-management relations and cooperation and assuring veterans the best possible care. Improving joint problem solving, communication and team building skills enhances organizational performance and leads to better service for customers. The program is known as Relationship-by-Objective (RBO) training; the specialized instruction provided by FMCS is designed to reduce labor-management conflict and to improve cooperation through increased levels of trust, respect and understanding among the parties involved. RBO training is one of the services offered by FMCS in response to a joint request for assistance from labor and management. Participants have more work to do with FMCS mediators, and have absorbed skills and demonstrated the ability to utilize the training going forward in their relationship. FMCS mediator Darlene Voltin reported “Progress is being made.” After a break, training with the parties will resume March 15 and 16, 2016. 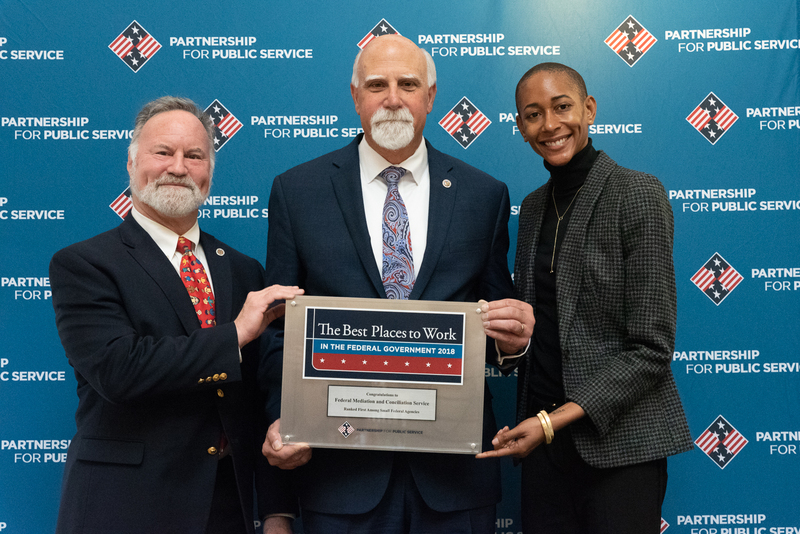 WASHINGTON, DC – For a third time in a decade, the U.S. Federal Mediation and Conciliation Service (FMCS) today received the top rating among Federal government small agencies as being a “best place to work,” according to rankings released by the Partnership for Public Service. FMCS was recognized at a Partnership for Public Service news conference Tuesday for its number one ranking in 2015, which also rated FMCS the highest in several individual categories, including “Employee Skills-Mission Match,” “Empowerment,” “Innovation,” “Work-Life Balance,” and “Support for Diversity.” The agency achieved second-place rankings in “Leaders,” “Supervisors,” “Pay,” and “Teamwork,” based on employee responses to survey questions. FMCS headed the list of small agencies in the 2015 rankings of the “Best Places to Work in the Federal Government” as rated by the nonprofit, nonpartisan group, which released its rankings of Federal workplaces today. The rankings are based on responses from more than 433,300 civil servants in 391 Federal organizations. Produced by the Partnership and Deloitte, the Best Places to Work rankings provide critical information to help agencies, the Obama administration and Congress assess workplace health and performance. In addition to overall satisfaction and commitment, the rankings measure employee attitudes on 10 workplace categories, including effective leadership, innovation, support for diversity, work-life balance and pay. Agencies are ranked based on the responses of their own employees to the government-wide, Federal Employee Viewpoint Survey conducted by the Office of Personnel Management. Based on previous surveys, the FMCS was the top-ranked “best place to work” among small agencies in 2005 and 2007. The rankings began in 2003, and since 2007 have been conducted annually. The FMCS generally has scored among the top five finishers for small agencies in every year that Agency results were available for comparison. Complete 2015 rankings and information about the survey are available at the Partnership for Public Service website at http://bestplacestowork.org/BPTW/index.php. For a PDF version of the FMCS release, click here. With assistance from FMCS Commissioner Jim Statham and Michigan state mediators, the Detroit Casino Council and union representatives for approximately 6,000 casino employees have ratified a new, five-year collective bargaining agreement for three large Detroit casinos, the Greektown Casino, the MGM Grand Detroit and the Motor City Casino. WASHINGTON, D.C. —A team of mediators from the Federal Mediation and Conciliation Service (FMCS) recently completed 40 hours of intensive training for 27 participants from Addison Northeast Supervisory (ANESU) Union and Addison Northeast Education Association (ANEDA) at the request of both organizations to improve their labor-management relations. Led by FMCS Commissioner Cynthia Jeffries and FMCS Regional Director D. Scott Blake, Addison Northeast schools building principals, administrators, school board members and members of both the teacher and support staff bargaining units jointly participated in an intensive 2 ½ day session that included training exercises, classroom-style instruction and facilitated discussions designed to improve skills in communicating, joint problem solving and team building—all with the goal of improving labor-management relations and cooperation. Commissioner Jeffries rated the ANESU/ANEDA training “very successful.” She said that participants “absorbed the skills and demonstrated the ability to utilize the training going forward in their relationship. The participants responded very positively to the training, and we had some excellent feedback from them. Comparatively speaking, this was a group that did very well,” she said. After months-long negotiations, representatives of the Norwalk, OH city school board and the Norwalk Teachers Association agreed to a tentative contract after several sessions with an FMCS mediator. Talks leading to the agreement began last February. 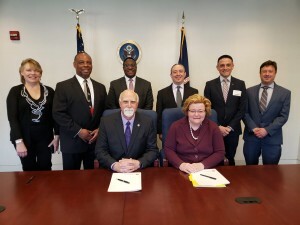 WASHINGTON, D.C.—The Federal Mediation and Conciliation Service (FMCS) today announced it has awarded eight grants totaling $751,055 to support cooperative initiatives by labor-management groups nationwide to support their innovative approaches to workplace issues as well as best practices in labor relations. “We are pleased to announce this year’s grant program recipients, which represent potentially model projects and strong leadership for similar labor-management cooperation and collaboration efforts throughout the country. Among the most important grants we award are those addressing relationship building and communication between labor and management for projects that benefit a facility, a community, or a region in a way that others can emulate,” said FMCS Director Allison Beck. Through the years, the FMCS grants program has helped labor and management groups nationwide develop creative conflict resolution projects that improve cooperation and enhance organizational effectiveness. “This year’s grantees represent a diverse range of projects, involving both the public and private sector, including the service, health care, manufacturing and construction industries. We are pleased to see the emphasis on innovation in addressing joint problems among our applicants, and we look forward to working with these labor-management groups in achieving the worthwhile goals they have set for themselves,” the FMCS Director said. The grants program, which began in 1981 under the authority of the Labor-Management Cooperation Act of 1978 (PL 95-524), has funded a broad range of projects designed to address a specific workplace, industry or community problem through joint processes. Collaborative efforts have enabled the parties to address critical issues, such as, safety, health care costs, skills development, training and the resolution of workplace disputes. Applicants wishing to learn more about the FMCS labor-management grants program may call the FMCS Grants Office at 202-606-8181 or visit the agency’s website at www.fmcs.gov, where online summaries of the grant recipients’ projects are also available. The East St. Louis Federation of Teachers Local 1220 and the school district reached a tentative agreement after a 13-hour negotiating session assisted by Federal mediators Roland Lewis and Glen Reed. The agreement, if approved, could return teachers and students to classrooms as early as Monday. Today, FMCS joins other Federal agencies and organizations around the world in observance of Conflict Resolution Day. This annual event is celebrated on the third Thursday in October to promote peaceful conflict resolution and the importance of alternative dispute resolution practices, and to honor the work of ADR professionals and their contributions to the public. For more than 65 years, the men and women of FMCS have worked tirelessly to preserve and promote labor-management peace and cooperation. The Agency helps foster better workplace relationships through joint problem-solving and constructive responses to conflict. Browse our website or contact your local FMCS office to learn more about the initiatives and innovative programs we offer to help manage and resolve workplace conflict. A Conflict Resolution Day message from FMCS Director Allison Beck. An annual survey by the U.S. Office of Personnel Management of more than 400,000 workers across the Federal government has ranked the Federal Mediation and Conciliation Service (FMCS) as one of the best places to work in the federal government among small agencies. The FMCS has ranked at or near the top in the OPM ratings for small agencies in every year that data from the Agency has been included in the survey results. The survey of government employees examines Federal workers’ perceptions of their organizations, leaders and work experiences. According to the OPM survey report, overall Federal agencies’ scores in employee engagement, satisfaction and inclusion indices were up 1 percentage point from 2014 results. Among large Federal agencies, the Federal Trade Commission (FTC), the National Aeronautics and Space Administration (NASA) and the Office of Management and Budget (OMB) ranked as top performers in the survey. OPM said NASA gained the highest score among big agencies on the global employee satisfaction index, while FMCS achieved the best score among small units. The OPM report ranked NASA and the U.S. Trade and Development Agency as the top scoring large and small agencies respectively for initiatives that encourage an inclusive workplace culture. For the full Federal Employment Viewpoint Survey Results, click here. With help from a federal mediator, representatives of the United Steelworkers and Mardi Gras Casino in Cross Lanes, WV have reached a tentative agreement in a dispute over health care premiums, according to news media reports. FMCS Commissioner Clifford Crum provided mediation to the two sides in talks that resulted in a tentative settlement Sunday afternoon. According to media reports, the casino’s 200 employees voted to reject a contract offer on Friday. WASHINGTON, DC—Allison Beck, Director of the Federal Mediation and Conciliation Service (FMCS), issued the following statement today on the announcement that a tentative agreement had been reached in negotiations between Pantex/Consolidated Nuclear Security (CNS) and the Amarillo Metal Trades Council in Amarillo, TX, bringing a possible end to a strike that began August 28 by 1,200 workers at the nuclear facility. FMCS Deputy Director Scot Beckenbaugh had mediated talks between the parties since September 16, when Director Beck called labor and management representatives back to the bargaining table. “These were difficult and stressful negotiations for the employer and union representatives,” she said. “This tentative agreement is the result of many long days and many late nights for both sides. In their discussions, labor and management were faced with complex issues and some very tough choices, which they were dedicated to resolving. Thanks to their efforts, we now have reason to hope normal operations will soon be restored at this vital facility,” Ms. Beck stated. WASHINGTON, D.C. — Allison Beck, Director of the U.S. Federal Mediation and Conciliation Service (FMCS), announced today that representatives of the Chicago Symphony Orchestra and the Chicago Federation of Musicians have reached a tentative agreement on a new collective bargaining agreement under the auspices of FMCS mediators. The parties are not commenting regarding details of the agreement until both sides have ratified the new contract later this week. As is Agency practice, the FMCS also is not releasing information about the contract until the ratification process has been completed. Update: The tentative agreement was ratified on October 29. To access the joint news release issued by the parties, click here. With assistance from Federal mediator Dennis Teel, Teamsters Local Union 104 and Professional Transit Management reached a two-year deal to end the 42-day Sun Tran bus strike in Tucson, Ariz. The bus strike began on Aug. 6 after the union and Professional Transit Management—the company contracted by the city of Tucson to oversee Sun Tran—came to an impasse over contract negotiations. Following 42 days of picketing, the parties met into the early morning hours, resulting in a new, tentative contract agreement. Sun Tran workers approved the deal with an 89 percent vote. For local news media coverage, click here. WASHINGTON, D.C. — Federal Mediation and Conciliation Service (FMCS) Director Allison Beck announced today that she has requested that senior officials from Pantex/Consolidated Nuclear Security (CNS) and the Metal Trades Council in Amarillo, Texas cooperate with FMCS in scheduling a joint meeting with an FMCS mediator to explore a settlement of the strike that began August 28th at the Amarillo facility. Registered nurses at Ellis Hospital in Schenectady NY called off a strike after reaching a tentative agreement following a long and intense bargaining session involving FMCS mediator Cynthia Jeffries. The New York State Nurses Association had notified Ellis Hospital on Aug. 20 that they intended to strike on Sept. 3 in the absence of a new contract agreement. Ellis Medicine, which operates the facility, informed the nurses’ bargaining unit that that hospital administration would then lock out nurses for five days afterward, according to news reports. With assistance from the FMCS mediator, the parties met into the early morning hours, resulting in a new, tentative contract agreement. FMCS has updated the Agency website with a new look and feel, new features and better navigation. The previous website has been replaced with all-new graphics, a re-organized information structure and easier access to popular site features. The East Liverpool, OH city school board and teachers union have ratified a new contract agreement reached last week with the help of a federal mediator. According to local news accounts, the school board and the East Liverpool Education Association agreed to a request by the mediator to talk informally, which led to progress in their negotiations. The new agreement, ratified by the parties, will remain in effect until Aug. 31, 2017. With help from a Federal mediator, Hanford Atomic Metal Trades Council (HAMTC) workers at Pacific Northwest National Laboratory in Richland, Wash. have reached a tentative agreement with Battelle. After nearly three years of negotiations hinged on wages and benefits, HAMTC members tentatively accepted a best and final contract from Battelle, which operates the national lab in Richland for the U.S. Department of Energy. Workers will vote on the proposed contract Aug. 28. The U.S. Senate voted today to confirm FMCS Acting Director Allison Beck as the first woman Director of the Agency. She becomes the 18th Director of the FMCS since it was created by Congress in 1947. Ms. Beck was nominated for the position by President Obama on September 18, 2014 and has served as Acting Director of the Agency since her nomination. Prior to her nomination, Ms. Beck served for more than four years as FMCS Deputy Director. Her past duties included assisting with the management of the Agency and supervising FMCS national and international programs. Prior to her appointment as Deputy Director, Ms. Beck had an extensive career in the field of labor law and labor-management relations. For 20 years, she served as General Counsel of the International Association of Machinists and Aerospace Workers, AFL-CIO (IAM), where she supervised the legal affairs of a large, international union, became well-versed in all aspects of labor and employment law, and litigated cases in federal court and before government labor agencies. WASHINGTON, D.C.—U.S. Federal Mediation and Conciliation Service (FMCS) Acting Director Allison Beck congratulated Rhode Island state officials and union negotiators on the implementation of a settlement agreement to Rhode Island’s longstanding public employee pension dispute. Ms. Beck led a team of FMCS mediators who worked with the parties to craft a settlement agreement last year that provided the foundation for resolving the statewide pension dispute. Provisions of the negotiated agreement are part of the Rhode Island state budget signed into law on June 30, 2015 by Governor Raimondo and are to be implemented with the state’s new fiscal year. WASHINGTON, D.C.—In what has been hailed as the biggest energy-saving standards rulemaking in Department of Energy history, the Federal Mediation and Conciliation Service (FMCS) assisted industry, government and advocacy groups to achieve major new consensus energy standards for commercial heating and air conditioning equipment. These standards could save nearly 15 quadrillion BTUs (quads) of energy over 30 years and reduce energy consumption and costs by billions of dollars over the lifespan of the equipment. WASHINGTON, D.C. —Allison Beck, Acting Director of the Federal Mediation and Conciliation Service (FMCS), today announced that with the assistance of Federal mediators, a tentative settlement has been reached between USW Local 9423 and Chicago-based Century Aluminum Co., potentially ending a work stoppage affecting approximately 560 workers at a Century Aluminum facility in Hawesville, KY.
A previous labor contract expired in April 2015 followed by contentious negotiations and a work stoppage in May. Bargaining under the auspices of FMCS mediators, the union and employer reached a tentative agreement after many hours of intense talks.